Brighton: A reduced service will operate between London Victoria and Brighton. 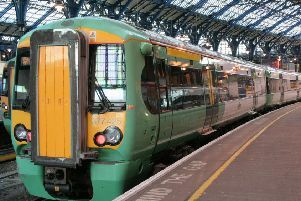 Gatwick: Gatwick Express will operate at half hourly timetable between London Victoria and Gatwick Airport. A23: Possible delays from this evening on the A23 northbound between the junctions with the A272 and the M23 due to planned horticultural works. Scheduled to begin at 8pm tonight and finish at 6am tomorrow. One lane will be closed, according to Highways England.